I don’t think anybody could have been ready for the spectacular performance that Taylor Swift put on Friday night. With a massive stage, multiple catwalks, blow up snakes, and flying objects, the night was a spectacle for all. People ranging from under ten years old to middle-aged men and women were all in attendance, some even dressing up in costumes related to Taylor Swift song lyrics. No matter what your expectations were for the show, Taylor exceeded all of them. As much as she proclaims the old Taylor is dead, we still saw some of the sweet, loving, country girl that she started her career as. 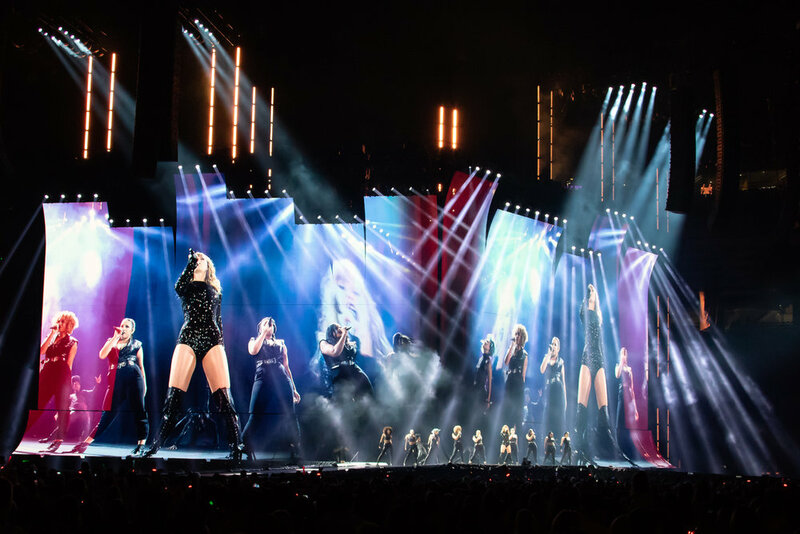 She came out sassy and intense for her opening song “…Ready for It?” but shared her love for her fans and life in between songs. She flashed her infectious smile and the crowd couldn’t help but cheer her on. While she played a lot of songs from her new Reputation album, she took us down memory lane with some of her other songs, pop and country included. She did a mash-up “Style,” “Love Story,” and “You Belong with Me” close to the start of her set, causing the fans to dance, sing, and reminisce Taylor’s older music. During her song “Delicate,” Taylor boarded a cage-like object that lifted her up into the air and brought her to the back of the stadium. One of the highlights of this tour is that Taylor included all female artists in her line-up, which is something you do not see too often. While on the stage, in the back of the venue, she brought back out her openers, Charli XCX and Camila Cabello, to help her sing “Shake it Off.” The showcase of talent from all three ladies was absolutely incredible. Taylor got a little more intimate with the crowd a few times in the night. The first was when she sat down with just her acoustic guitar and sang a song that she normally wouldn’t have chosen to sing on this tour. She changes the song every show to make it more unique for her fans and fun for her to think about past songs she loves. Friday night, the lights from phones in the crowd went up and she sang “Begin Again.” Another idea Taylor had for the show to make it more interactive was everyone got a bracelet. The bracelet lit up during the songs, all different colors. Her reasoning, she said, was so she could see everyone from front and center, to nosebleed seats. The second time Taylor showcased intimacy was when she sat down by the piano and sang a mashup of “Long Live” and “New Year’s Day.” Everyone swayed back and forth, feeling closer to Taylor than ever. Taylor's stage was stunning and always changing. One song she had a tilted stage that the singers are dancing on and snakes everywhere and the next she had a fountain with real water coming out. The screen stretched across the entire stage, so no matter where you were sitting, you could see every moment of the show. Fire and fireworks came out of the top of the stage throughout the whole show and smoke rose from the front of the stage. She really set it up to be interactive and enjoyable for all fans. The show ended with another sassy mashup of “We are Never Getting Back Together” and “This Is Why We Can’t Have Nice Things.” Confetti shot out of cannons everywhere. Although no one wanted it to end, it was the perfect way to close the show. 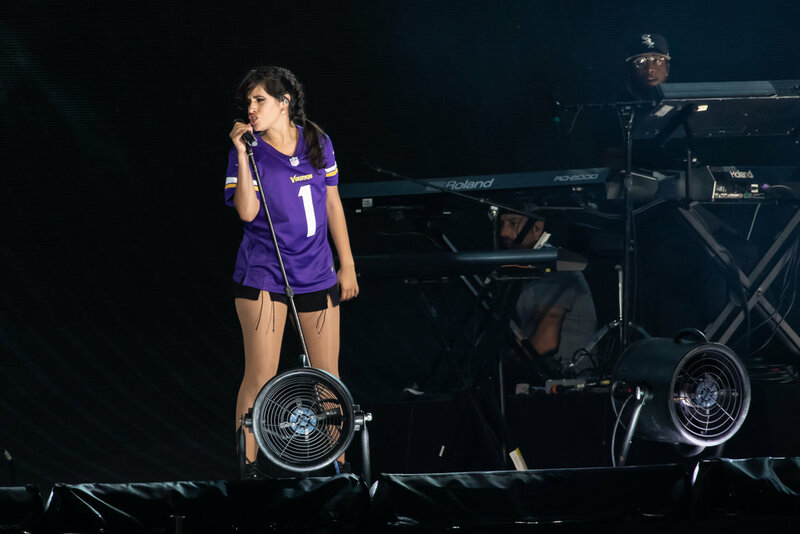 This was just night one of two of the Taylor Swift Reputation Stadium Tour at U.S. Bank Stadium. You will NOT want to miss this opportunity to see her performance and night two is in store for another incredible show.